Are you a teacher, a group of teachers, or principal looking for an innovative way to help stop bullying in your school? Are you a community and or religious organization or and individual or business who wants to get involved in stopping bullying of our youth? For schools she offers a four or more session classroom residency, as well as a performance based residency, which is based on the same principals of integrating drama and learning as the four sessions, but is expanded culminating with an original performance created by the students for a cluster of classrooms or the entire school. This school program is available for elementary, middle and high schools. It also has teacher training and parent workshop components using improvisational theatre to educate on stopping bullying and promoting healthy relationships, if desired. This interactive theatre program on stopping bullying can also be brought to the general community, religious and other organizations by supportive sponsoring individuals, organizations or businesses. Local groups can get involved in sponsoring a program so that the performance based theatre intervention can happen at different places in the community outside of the schools, e.g. churches; local youth organizations; parks and recreational facilities, etc. The performance based program begins with classroom or community educational sessions on improvisational drama and the issue of bullying, which culminates with original youth creations of monologues on the issue. When performed, it begins with these monologues, depicting intimate moments of each character, using local youth from the schools and the community organizations who are not professional actors. The youth are given significant guidance, input and direction from the director, and are made to feel completely comfortable about being involved. After the theatre presentation is performed, the actors stay in the character of the person they have just portrayed and the audience gets an opportunity to have a dialogue with them. The director guides this discussion between the actors and the audience. At some performances the actors are moved into the audience and have small group guided discussions on the issue of stopping bullying and building healthy relationships. For more information about bringing this program to your school or community, contact Hedda Matza-Haughton, by clicking here or call 941-923-7477. This program gives youth an opportunity to explore the issue of bullying, without identifying whether they or a friend might be bullied, are the bully or the bystander. 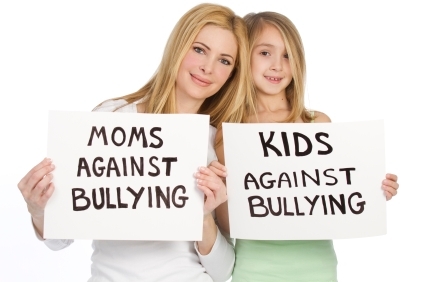 It provides a safe environment where youth can explore the feelings of the different characters experiencing bullying by using their �inner voice.� This allows for validation of true feelings, as well as improving their problem solving and critical thinking, without exposing themselves as someone who may be dealing with the issue. Bullying is a significant problem in schools nationally and locally. The statistics are staggering. Physical bullying peaks in middle school and declines in high school. Verbal abuse rates remain constant from elementary to high school. 13 million kids will be bullied in the U.S. in 2012 and 3 million students are absent each month because they feel unsafe in school. Bullying negatively affects the learning process. There are no easy solutions, but a creative approach is essential to bring out the issue and look at possible solutions and places to get help. Improvisational drama mirrors our everyday conversations and communications, exploring verbal and non- verbal communication. Youth will explore basic improvisational theatre exercises required to create characters and situations which will be the foundation of characters explored while dealing with bullying/ healthy relationships. The use of drama will encourage youth of all ages to look at possible ways to say �no� to bullying and �yes� to healthy relationships. Youth will also be using their writing skills in assignments where they will be creating their individual monologues. They will get an opportunity to explore ways to handle bullying, how to help a friend, how to make an impact in their schools and or community, to stop bullying, and who they can go to if bullying is occurring. The youth involved and the audience that they will be performing to will increase their awareness of their ability to overcome negative thinking and judgment of others.